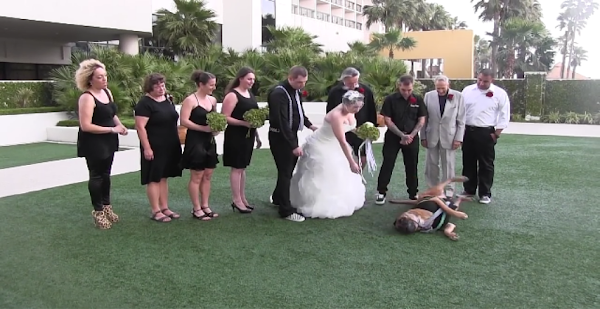 They thought it was a good idea, until their loved dog stole the show. But of course, they probably didn’t expect him to do this! 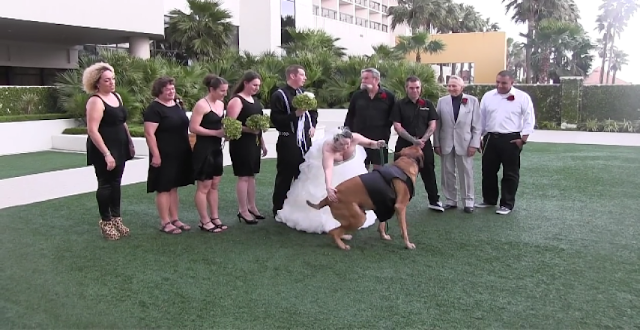 If you want to include your dog in your wedding, at least now you’ll have an idea how it would probably go. Well, you better prepare for the unexpected, especially when your dog is a lil goofy. Just like this dog named Jethro! Jethro is the ring bearer at his mommy’s wedding! Jethro stole the show as he showed everyone he’s a little spoiled. As everyone was posing for the photo, Jethro has other things in mind. But isn’t that great? A wedding day everyone would surely remember!